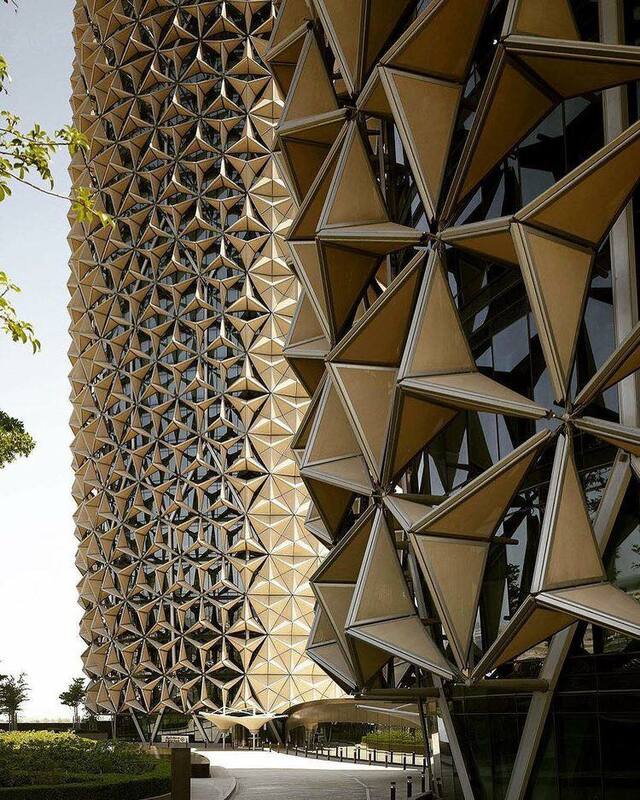 These beautiful Twin office towers in Abu Dhabi borrow from ancient Arabic architectural elements to create an innovative way to shield themselves from sunlight. 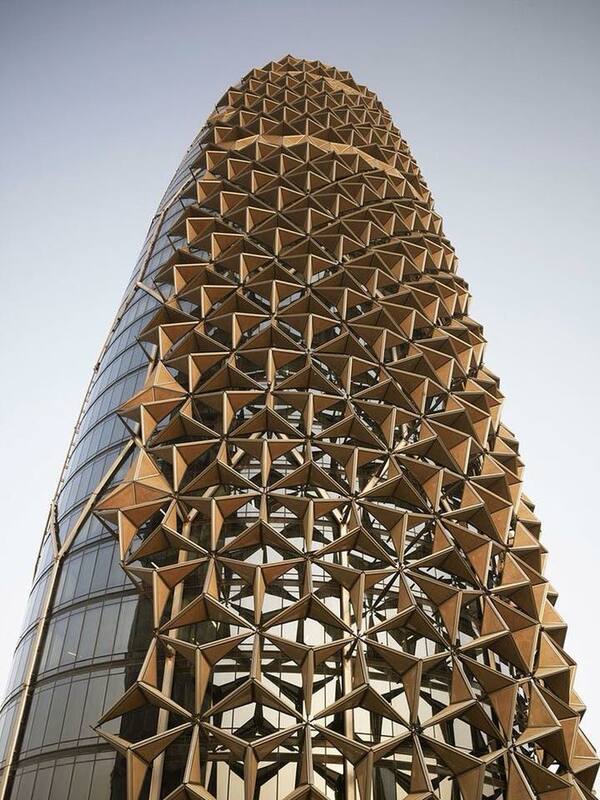 The two towers are overlaid by a mechanized geometric “skin” with triangular panels that follow the sun to block it out. 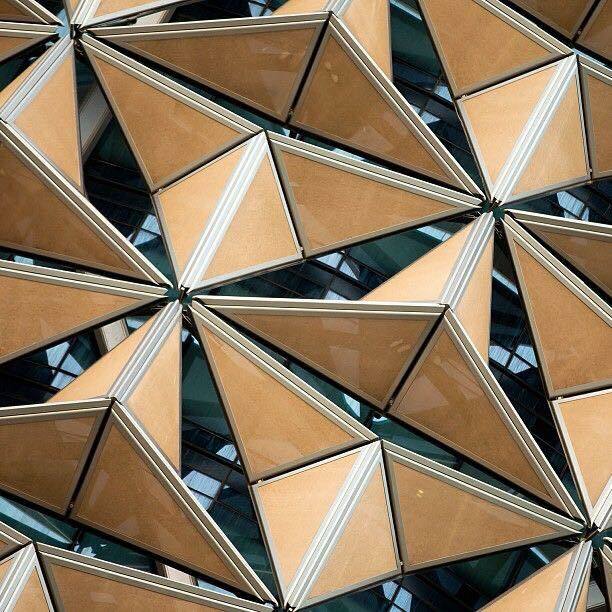 The sunscreen design by Aedas Architects was inspired by the masharabiya, a beautiful form of ornate sunscreen that shields windows in the Arab world from glaring sunlight and prying eyes. The screens, controlled by computers. open, close and even travel horizontally to block the sun. 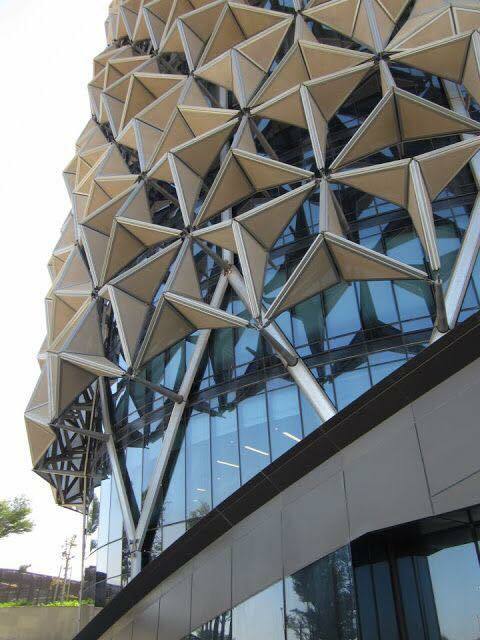 The 145m-tall towers underneath, which were completed in 2012, are covered in glass, so the sunscreens reduce sunlight-generated heat in the building.